Snowshoeing Discussion / Re: Costco Snow Mountain Snow Shoes 99.00 - worth it? I think they will have the problem that all solid deck snowshoes have, collecting snow on top and weighing down each step you take in deep snow. That oven is sweet! What size is that one? 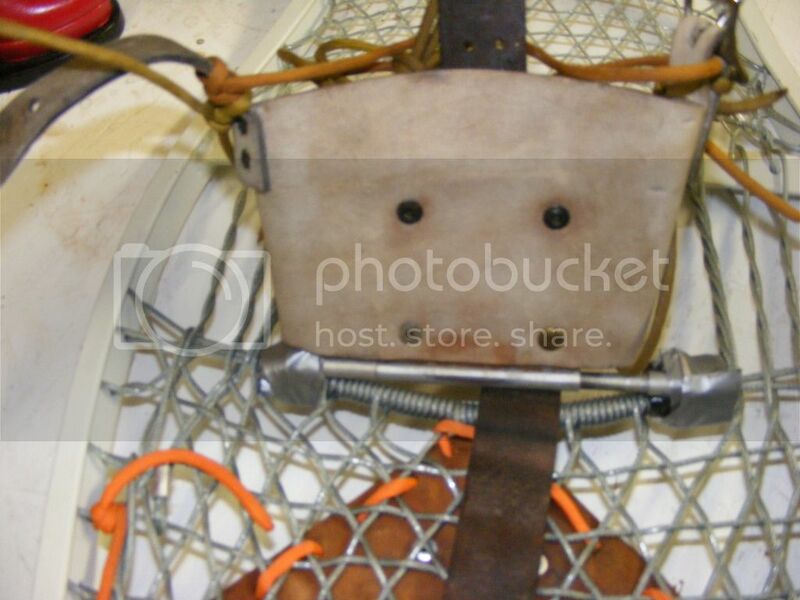 HOOP was talking the other day about quick detachable snowshoe cleats. These are not quick, but they are detachable. Made from 1/8" thick aluminum angle material, riveted to a leather base and sewn to the snowshoe with para cord. I think these really only work well if you have a super rigid technical type binding. These are US Army hinge type, circa 1964. 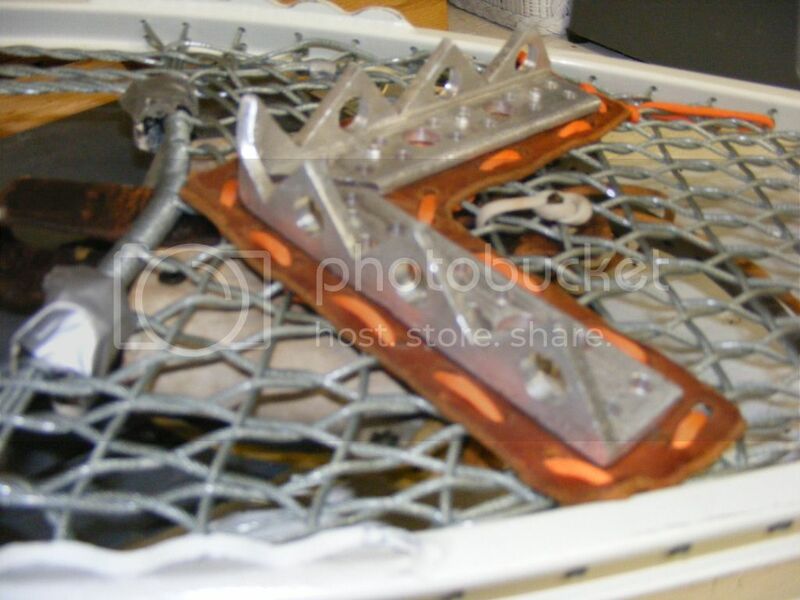 This snowshoe, binding, cleat set up works well for climbing steep crusted snow. Sweet! Thanks Marko for the pics and the map. I love to see exactly where people are going. Looks like tough sledding, but fun. Sweet Marko, great job. Love the "do it your self" stuff. Anything that I have to add probably would not be helpful since the snow conditions where I live are so much different than where you are describing. With the exception of saying I whole heartedly agree with the traditional snowshoes. I would do what ever I had to do to get traction for that design. I have been known to wrap 3/8" rope around the frames for traction. 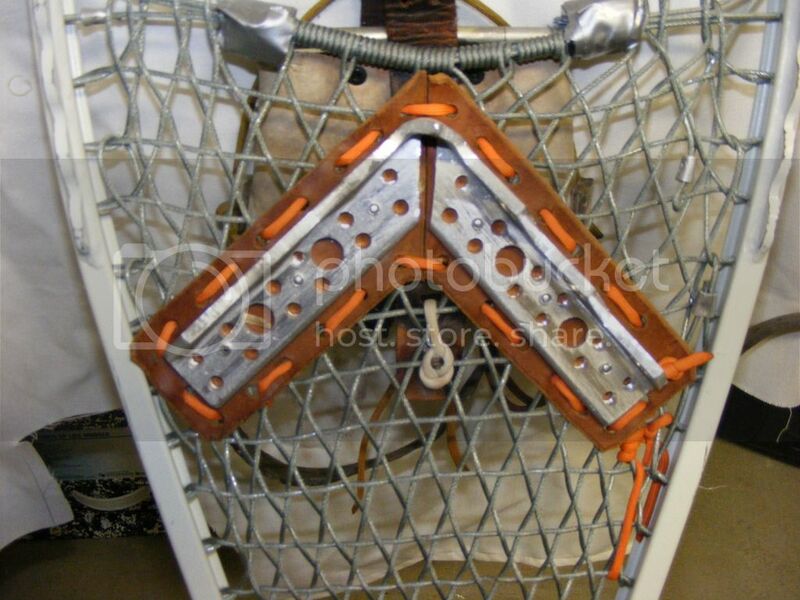 I also have made a set of detachable cleats that I lace to the bottom of my snowshoes. I will see if I can post a picture. Also consider Army magnesium framed shoes with cable lacing. They float pretty good and have lots of traction, and are cheap. I would go that way before the modern stuff. That is just me. 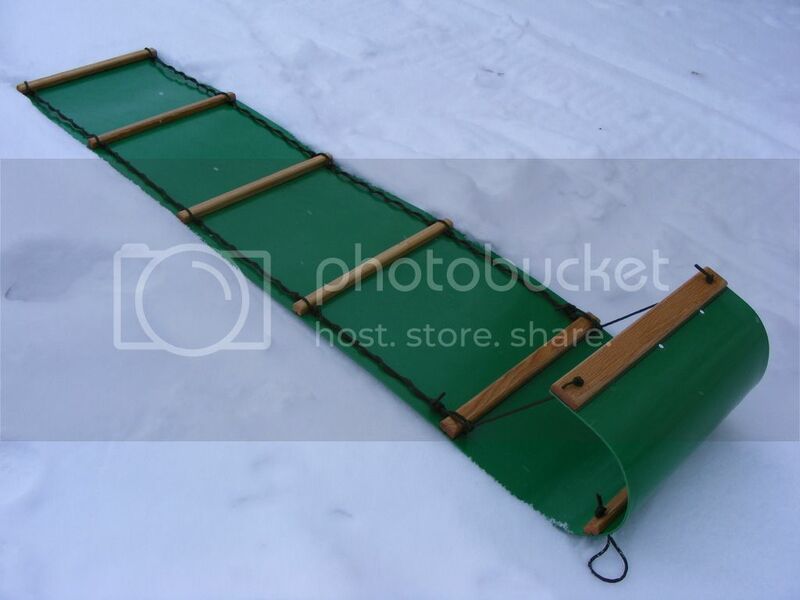 Just finished this toboggan. Found the plastic in a dumpster. I think the plastic was the slide part of a plastic kid's outdoor play set. Reduce, reuse, recycle. Saved it from ending up in a landfill. Sorry did not mean to hijack this thread. Would love to try the Hoks. I hear ya on the snowshoes. There is an old story told around these parts from back in the 60's. A hunter got trapped in heavy snow up in the Salmon River country and dies. This is steep country, straight up, straight down. They tried everything to get him out, men on skis, horses, finally two men on snowshoes pulling a toboggan got him out. If I could only take one method of travel, I would take the snowshoes, probably the 12 x 60 Ojibway's. Skis are 5 cm wide. I weigh about 86.4 kg (190 lbs) with all my winter clothes on. I once did a test on floatation in deep powder snow. With no skis or snowshoes on, I sunk up to my crotch, about 4 ft of pure powder, very dry. If you melted down a whole measuring tube of this stuff 4 ft high you might get a teaspoon of water. I tried three modes of transport: xc skis, 215 cm length; xl Ojibway snowshoes; and lg Alaskan snowshoes. The xc skis were almost worthless, I found myself constantly tipping forward or backward or side to side, in addition to sinking down about 18 inches. It was hard to make any progress. The Ojibway snowshoes offered pretty good floatation, but I found the shoes constantly tipping forward, which felt uncomfortable. The Alaskans were the best, better floatation and the toes did not sink down, the shoes remained level. I was able to make good progress through the snow. I would like to try shorter, wider skis to see how they do in deep powder.